A new primary word mark and secondary logo have been introduced to Utah State University-College of Eastern Utah. These marks will be used to represent the new comprehensive regional college and establish an image for the newest member of the USU family. The primary word mark (Utah State University-College of Eastern Utah) will be used on all off-campus correspondence and publications. This mark will be used exclusively on approved letterhead, envelopes and business cards. 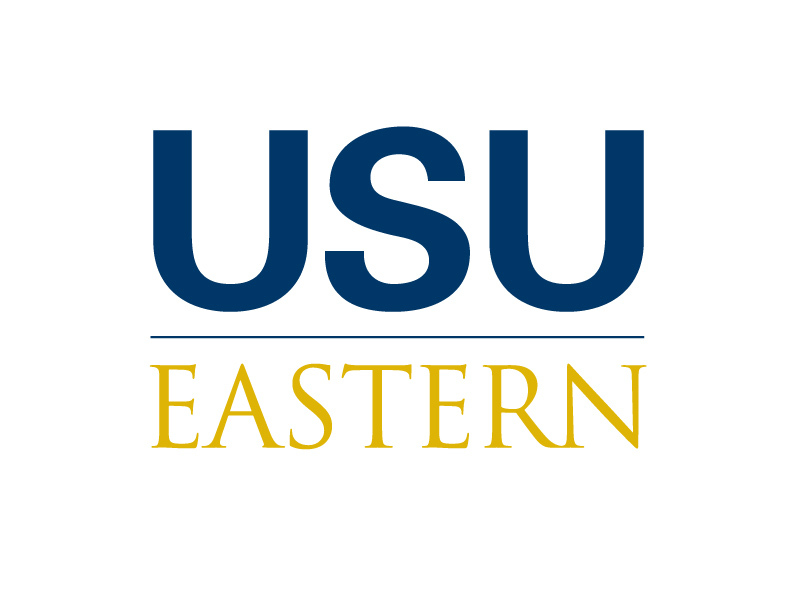 The “USU Eastern” secondary logo will mostly be used on-campus or on apparel and bookstore items. “It’s meant to be less formal, more adaptable,” according to King. The logos are being implemented as departments reprint publications and should be fully integrated by the end of the year. “The new name is being used on all of this year’s publications. All who would like to see the approved uses of the logos may access the Utah State University online usage guide, Visual Identity Program, at www.usu.edu. In 2009, a campus survey was conducted on the Price and Blanding Campuses of College of Eastern Utah, proposing eight different names. Interestingly enough, Utah State University-Eastern was the most popular, and Utah State University-College of Eastern Utah was the second most popular of the choices. The Board of Trustees and administration in Logan decided that in order to insure USU-CEU keep its connection to the past, CEU should be a part of the official name. With the new affiliation, the administration would like to highlight that USU-CEU is a new kind of an institution, a comprehensive regional college with the soul of a Carnegie I research university and the heart of community college. USU-CEU Chancellor Joe Peterson stated, “Future public relations campaigns will reinforce what our new name represents and will emphasize the heritage and mission of a community college while embracing the opportunities of the affiliation with a world-renown research university. “These logos represent a small portion of the work that has gone into the merging of these two institutions, symbolically it is very important to the process. USU-CEU will use these word marks and logos to build and polish an image to sell to all prospective students, CEU alumni, the citizens of Utah and current students,” added Chancellor Peterson. The athletic logo will remain the stylized golden eagle head with USU-Eastern incorporated.